As a professional voice-over artist, Diane Kutz has been honing her voice-over skills for almost a decade. When video and digital marketing began their emergence, Diane saw the future dominance of these forms of marketing and became adept in the technology and software programs that are available as well as learn the strategies that will help her clients succeed. In 2014, Diane consolidated her Video, Voice-Over, and Podcast Editing businesses under the umbrella of Modern Concept Media and created a one stop-shop for clients needing support with video and audio production and marketing. An active and much-appreciated member of the Tampa Bay Small Business community, Diane has helped business owners across many industries overcome their fear of being on camera and produce wonderful high-quality videos that they are proud to share with their clients and target markets. 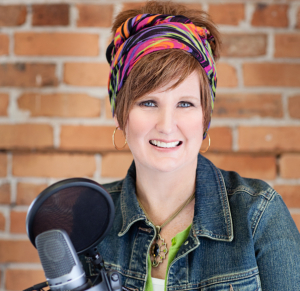 Diane’s talent covers a wide range: producing marketing videos, voicing on-hold messages and parts in books, television, radio, and web, and editing Podcasts. Diane is continually evolving her craft, training with experienced professionals in the industry and staying on top of emerging trends. She loves her work and appreciates that her chosen profession allows her flexible time with her family. A mother of 3 daughters (two of them teenagers!) she enjoys being active and present in their daily life, while at the same time providing an example as a successful business woman. Whether you need a fully produced video for your marketing campaign, voice-over work, or podcast editing, call Diane to discuss your ideas and learn how she can help you reach and engage your audience.